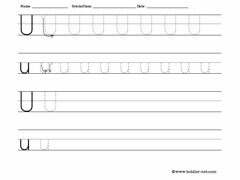 Here you can find all Toddler-Net worksheets for letter U. We have letter U flash card, cursive letter U worksheets, preschool letter U worksheet, and more. You can select the right letter U worksheet for your child. All these worksheets are free for personal use. For other uses contact us at webmaster@toddler-net.com. Free printable letter U flash card. You can print it on a regular paper, fold in two, and you card is rady! 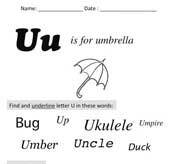 This worksheet will help your child to learn letter U, recognize it in different words, and associate it with known objects. Tracing is the first step in teaching kids how to write letter U. 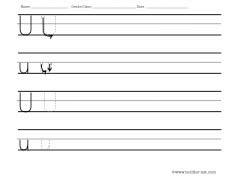 This worksheet has two rows for tracing letter U and two for writing. 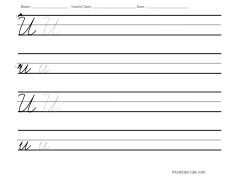 This worksheet has two rows for writing capital letter U and two rows for writing small letter U. 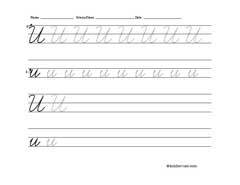 This cursive letter U worksheet is for tracing. 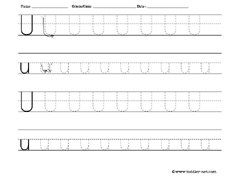 This worksheet is for tracing and writing cursive letter U. 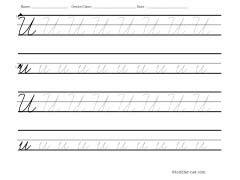 Your children can practice writing cursive letter U using this worksheet.